It almost looks like storm clouds on their wedding day. But it’s simply the beautiful blue hue of the clouds behind this couple. I’ve photographed this field in Bucks County many times with brides and grooms, and each time I get something different for my clients. 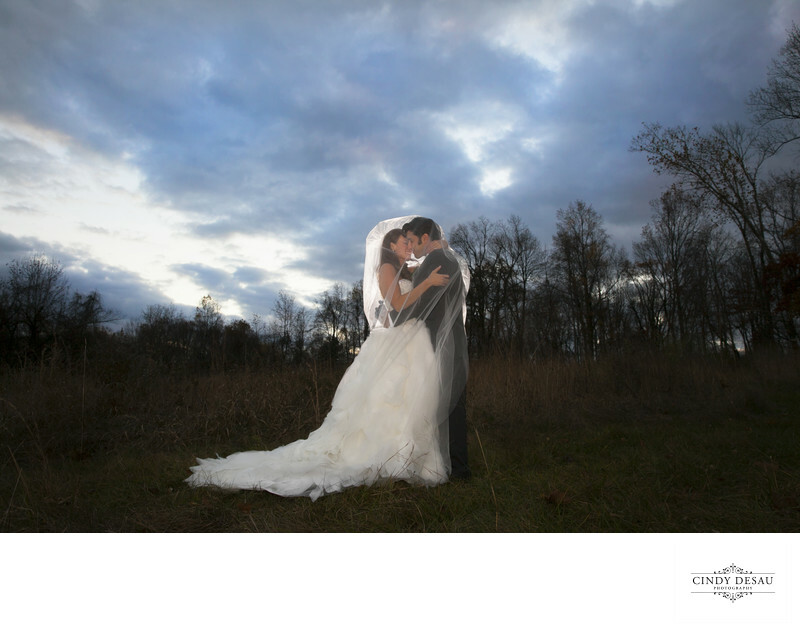 This bride’s veil is glowing and stands out from the darker background because of the lighting I placed behind her.